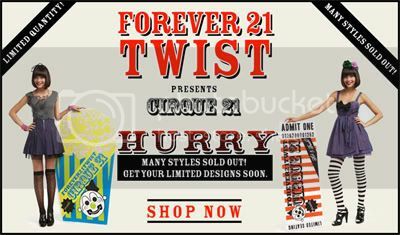 So I'm currently geeking out over a Circus themed lookbook Forever 21 did for their Twist line. 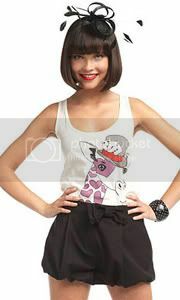 It's very playful and cute - I think it captures the spirit of the circus very well. 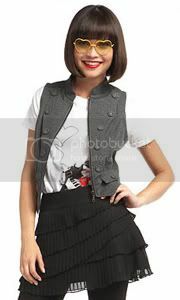 Very affordable as Forever 21 always is, which is wonderful for low-budget fashionistas such as myself. The tiered skirt in the first pic above is only $19.80 and the vest dress in the first picture below is $24.80. I'm a big fan of the whole Dark Circus so these are my picks for this lookbook. I love the lace print on the yellow shirt. BTW how would I look in yellow? (0.o)?